Cottages have spacious outdoor decks. Your own hot tub spa is on the deck in all the 'couples only' cottages and one of the two bedroom cottages. Wander the parkland gardens to enjoy the ambience and our exquisite gentle alpacas. A myriad of birds, darting in and out of the trees and feeders, will enchant you. 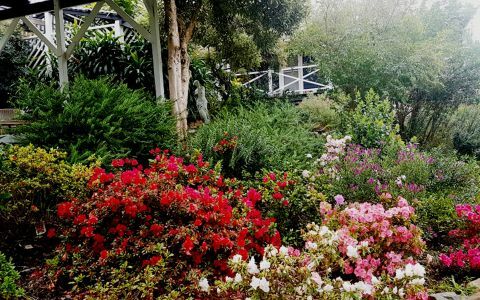 An easy stroll takes you to the heart of Balingup, with its range of cafes, galleries and some quirky shops to peruse. There is a French Bakery, a gluten free organic cafe and a bakery with great home made pies. In addition, there is a local deli shop selling regional produce. As an emerging wine and olive producing area, you can visit several properties for tastings and to purchase these local products. We can also arrange a masseur to visit your cottage for a relaxing one hour massage. The hardest thing you will have to do, is to leave. Superbly appointed 2 bedroom rammed earth cottage overlooking the Balingup Brook. If you bring your own cot, infants under 2 stay free. 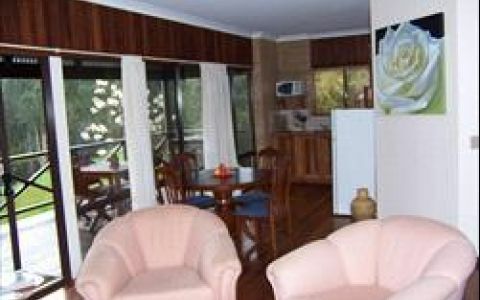 Two bedrooms with Queen Size beds in each and outdoor hot tub spa overlooking Balingup Brook. Ideal for two couples to share. 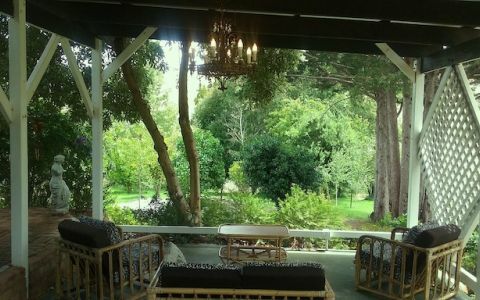 Set amongst lovely parkland gardens and adjacent to the Bibbulmun Track. Breakfast basket for the first morning,with newspapers delivered daily. Great covered entertainment area for groups of 20 with a wood fired pizza area and a giant chess set to test your skills. Teal Cottage is a couples only cottage and is finished in bold reds, black, silver and grey with a hand carved teak King Size bed. Totally private with hot tub jacuzzi in its own gazebo overlooking the new Zen gardens. It also has a huge lounging day bed on which to relax and enjoy the water fountain trickling in the background while you watch the birds darting in and out. The cottage is fully self contained with a gas BBQ on the verandah. 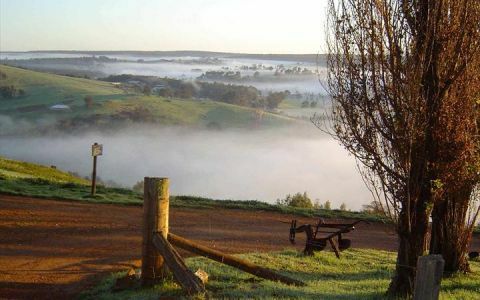 Balingup is located between Donnybrook and Bridgetown on the South Western Hwy. 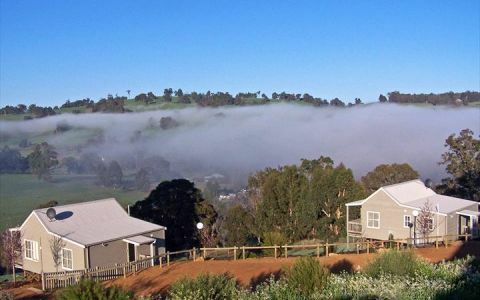 Jalbrook Cottages is situated in Jayes Road which runs off the highway opposite the Balingup General Store. We are just 900 metres along Jayes Road, on the left hand side. The property is well signed posted. Office hours are 8 am to 6 pm. The room and property is beautiful, very well maintained. The spa was a really nice way to relax especially overlooking the bushland. Fresh bread on arrival and the paper on our doorstep daily. The gardens are just beautiful too - wonderful surroundings. Walking distance from town. We stayed one of the most delightful chalets I've ever been in - lovely four post bed, great balcony overlooking the bush and the river, and a large spa with the same view. It was cozy and private, and made for a very romantic weekend. Definitely will be back.